This week my work schedule was back to normal, so I spent lots of time spotting books on the MTR. I think I notice more people reading now that I'm actively thinking about it. I counted FIVE Chinese books this week, plus another graphic novel. One morning I saw a school boy reading A Child Called "It" which seems like a depressing way to start the day. I saw a woman reading Leaving Microsoft to Change the World and a man with one of the Stieg Larsson books. What are people reading in your town this week? A great idea... I drive to work and so don't tend to see anyone reading. I've been on the lookout for readers ever since your first bookspotting post. As someone who tries to never, ever get caught in a waiting situation without a book or my Kindle, I've been surprised to find myself fairly alone in this regard. I saw no books (other than my own) at the hair salon, blood donation center or various (kids') basketball games. Finally, at a FCAZ fencing tournament, I spotted one man reading a Kindle and a woman reading a hardback copy of "Stones into Schools" by Greg Mortenson. I love bookspotting! Lately a lot of people have been reading either the second or third Stieg Larsson book (I've already read them all). Also that book Room by Emma Donoghue is pretty popular. @Enbrethiliel: I love that you can tell so much about that book without even seeing the title. @Nikki-ann: I drove to work last year too (in the US), so this is new for me. I also see readers in coffee shops :). @Julie Y: (Hi Mom!) What were you reading on your Kindle this week? I still have read the Greg Mortenson books, but I've been meaning to. @llevinso: Thanks for linking me in your post! Did you like the Stieg Larsson books? I just found your blog through Sarcastic Female Literary Circle and love it! I haven't been paying attention to what other people are reading but will keep an eye out for it now - even though the titles are mostly in Chinese (I'm in Taiwan) I should be able to recognise cover designs. As I bored my way through the wait of dance class, I saw a boy reading "Where the Red Fern Grows" which brough back such lovely memories. There was a woman in line at the post that was reading "House Rules", by Jodi Picult. I want to read this one, as I have heard good things about it. I did enjoy the Larsson books although I think that the first in the trilogy was by far the best one. The character of Lisbeth Salander was great though. My current Kindle read is, "Radical: Taking Back Your Faith from the American Dream" by David Platt. The Kindle edition is $5. But it's hard getting ahold of my Kindle these days because 8yo Kylie is always reading the Percy Jackson books on it. The Kindle is great for encouraging kids to read! Thank you all for your comments! Courtney and Kathmeista I am now following your blogs. Courtney, I'm glad that there are so many readers around you. I'm really interested in hearing about the progress of your own work. 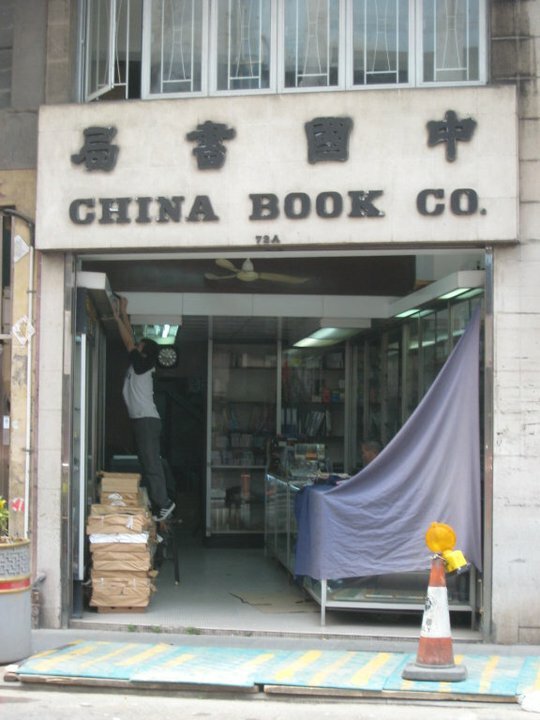 Kathmeista, I've heard that Taiwan has a pretty active reading culture, especially compared to HK. Is it true? That's really great about the Kindle encouraging kids to read. Go Kylie! What a great idea, Bookspotting. Sometimes I feel like the only one carrying a book with me wherever I go, but perhaps I just haven't been really looking. I've just discovered your blog and see that we have similar book tastes. Mind if I follow? Hi Trish! You are definitely not alone. I'm really enjoying connecting with people with similar book tastes through this blog. Follow away! Shannon - Thanks for following me! 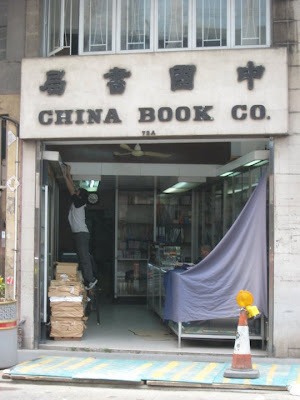 Yeah, Taiwan has a surprisingly active reading culture - surprising to me at least, I always thought of here as more techy-based. Of an evening, the bookstores are normally full of people sitting on the floors, crammed between shelves or some other seemingly uncomfortable position reading a book. It's pretty cool. I used to catch the train for my commute, loads of people read on there too but now I catch an intercity bus I can't see so much of what other people are doing. Get it as an ebook or paperback! I used to have a love/hate relationship with bookstores. Every time I went in it made me sad that I didn't have time to read every book that jumped off the shelves. Then I moved to Hong Kong and got a 35 minute commute and a Kindle. Now I'm catching up.